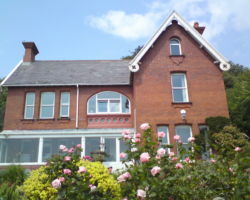 4 Star Bed & Breakfast on the Gower Peninsular, the UK’s first designated Area of Outstanding Beauty. 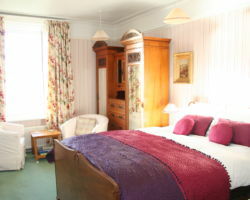 Stay with us, stroll through the garden and step directly onto Wales’s National Coastal path which runs alongside the picturesque Langland Bay and enjoy a walk on the beach. There are wonderful scenic walks in both directions, towards Caswell Bay or towards the lighthouse and the Victorian fishing village of Mumbles. You may even spot a few seals basking in the water along the beautiful coastline. 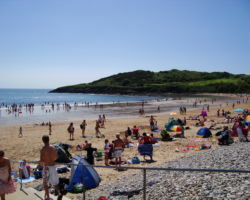 We are in the centre of Langland Bay, a stone’s throw from the beach. Mumbles is a 5 minute drive away and Swansea is about 15 minutes away.